I have been experimenting with nutrition since 1990 and I keep journals about my observations. Over time, I tried several different diets - ranging from the politically correct ones to the highly controversial, along with diets of my own design. Although diets vary in their effectiveness - some can be very harmful - my general observation is that a healthy diet plays an essential role in the overall scheme of well being. Furthermore, because every person is different, there is no single diet that will work for everybody. Over time, through learning and experimenting, I worked out many healthy eating habits. I list the most important below. I feel they are essential to creating a solid foundation for good health. If you'd like to experiment with them, try one at a time, say for a few weeks, and observe how you feel. Sugar and processed foods. Among the worst types of foods are highly processed foods and foods that are high in simple carbohydrates (sugar, fructose, etc.). Generally, such foods are often high in calories, low in important nutrients, contain unhealthy fats, processed salt, and artificial additives. Regular consumption of such foods has been linked with a variety of diseases including obesity, diabetes, immune system disorders, cardiovascular diseases, malnutrition and cancer. The following processed foods are particularly harmful to health and should be avoided: all junk food, chips, soft drinks, sweets, sugary breakfast cereals, processed meats like sausages or ham or salami, many refined or white flour foods, many canned foods that are high in fat or sugar or salt. These foods are typically made from low quality ingredients, are of poor nutritional value, can contain unhealthy fats like trans-fats, often contain sugar or large amounts of processed salt, and have chemical additives added to them (some of which are known to be disease causing). Sugar, when consumed in excess is harmful to health, and the World Health Organisation recommends to eat no more than 50g of sugar a day. Overconsumption of foods that are naturally high in simple carbs or foods that have been added sugar may be the leading cause, or a major contributing factor to diseases like obesity, diabetes, heart disease, cancer, and others. Simple carbohydrates are found in many foods, including: most commercial yogurts, kefirs, juices, soft drinks, ice creams, white sugar, brown sugar, energy drinks, honey, fruits, maple syrup, corn syrup, molasses, jams, sweet breakfast cereals, and sweets of any kind (cookies, desserts, chocolate, candy, etc). Generally, anything that has a distinctly sweet taste has sugar, simple carbs, or artificial sweeteners in it and should be eaten in small amounts or avoided. The only exception are fruits which can be eaten in small quantities (a handful a day, I write more about fruit eating later in this article). Damaged or oxidized fats and high heat cooking. Avoid all refined or overly heated fats: margarine, any oil that is not cold pressed, leftover fat from cooking, all foods that contain hydrogenated or partially hydrogenated fats and trans fatty acids. Read the labels. Such fats are considered to be among the most health damaging foods due to their damaged (oxidized) state (or the ease at which oxidation happens in them). Other foods to avoid include any meat or fat that has been exposed to high heat like frying or grilling, powdered eggs and dairy (often found in baked goods), homogenized dairy products (except butter and cream, which are not homogenized), aged meats and cheeses and baked goods that contain dairy. Do not cook meat or fat at very high temperatures while exposed to air. Such practice will avoid fat and cholesterol oxidation - believed to be responsible for build up of arterial plaque and injury to arterial cells. Grilling and frying is especially harmful. Avoid eating the outer layer of meat and fat cooked in hot air, like in the oven. Steaming, baking, or cooking in water through gentle simmering, are probably the healthiest ways of cooking meats and vegetables. Polluted foods. Avoid or minimize consumption of foods polluted with unnatural, toxic or other unhealthy substances. Avoid consumption of fish and water animals unless certain they came from unpolluted waters. Especially predatory fish should be avoided as toxins accumulate in them in greater quantities. Minimize intake of all plant and plant based foods sprayed with pesticides and other chemicals commonly used to cultivate them. Avoid meats from animals treated with hormones and antibiotics. The best way to avoid or minimize the intake of these harmful ingredients is to eat organic foods whenever possible. Fungi and mycotoxins. Mycotoxins are poisonous substances produced by certain molds and fungi which can cause a wide range of health problems including cancer, asthma, multiple sclerosis and diabetes. It is therefore important to minimize or eliminate consumption of unfresh foods that are especially prone to fungi and mycotoxin contamination: alcoholic beverages, spices, wheat, rye, barley, corn, peanuts, dried fruits and (even slightly) damaged fresh fruits. To minimize fungi and mold contamination make sure to buy only fresh foods, store them in a cool and dark place, and consume them before the expiration date. The longer a food has been stored the greater its chance of becoming contaminated with molds and fungi, especially if the conditions are humid. Always wash grains clean, and then boil them for a few minutes before further cooking. This will lower or eliminate the content of possible fungi in the grain. Mycotoxins are very heat resistant, even frying or roasting does not eliminate them. I know from experience that any food that is not too fresh but tastes normal, often causes me an aura migraine headache. This is especially true of breads that are high in rye or wheat. Same goes for dried fruits, some spices, and many peanuts varieties. I suspect this could be due to the effect mycotoxins or fungi have on the liver (vision and liver function are closely related). Beware of the so-called superfoods. Some superfoods contain undesirable substances or are very high in certain nutrients. Such foods can be detrimental to health if eaten regularly even in small amounts. Broccoli and spinach contain goitrogenic substances that suppress the thyroid (proper thyroid function is extremely important to good health). Cocoa products like chocolate and dark chocolate in particular are very high in iron, copper and oxalic acid. Brazil nuts are often recommended as the richest food source of selenium. Unfortunately a single brazil nut can contain anywhere from 20 to 200mcg of selenium, and they are also high in oxalic acid. Kelp, a rich source of iodine, contains varying amounts of bromine - a thyroid suppressant. Kelp can also contain mercury and other toxic compounds. Almonds, sesame seeds, raw spinach and cooked, miso, buckwheat flour and groats are all very high in oxalates. Every spice, just like any food, has its own properties. Some spices can lower blood pressure while others can increase it; some can lower blood sugar; some are blood thinners; many are stimulants, etc. No matter how healthy a spice is supposed to be, it should be evaluated before use on sites like webmd.com and used in moderation. Pears are a good source of the soluble fiber pectin which helps with proper bowel function and lowers cholesterol. Ensure balanced nutrition that meets your own needs. Every person is different and therefore everybody has different nutritional needs. The most important healthy eating habit is about getting the right quantities of all nutrients and minimize the risks of getting too much or too little of any nutrient. Nutrients include proteins, carbohydrates, fats, minerals, vitamins, and water. Essential nutrients are nutrients that are required for healthy body function and can not be manufactured by the human body. They can only be obtained from a dietary source (or as supplements), and currently include: essential amino acids, essential fatty acids, vitamins, minerals, and water. See the full list of currently known essential for health nutrients and currently recommended levels of intake. Balanced intake of vitamins, minerals, proteins, carbohydrates, fats and water is fundamental for proper body function. Long term unbalanced intake, whether too low or too high of just a single nutrient will eventually lead to health problems - and can including severe diseases like cancer, diabetes and many others. Eating a limited diet day in and day out will eventually lead to a deficiency of the nutrients the diet lacks, and excess body levels of the nutrients the diet is high in. Even a healthy diet that includes regular consumption of a single food that is particularly rich in some nutrients, like chocolate, can eventually lead to excessive body levels of the nutrients that chocolate is high in. Dark chocolate is especially high in copper, iron, and oxalic acid. Milk chocolate is high in sugar, which depletes chromium and other nutrients necessary for sugar metabolism. As an example, over-consumption of copper rich foods (chocolate and other cocoa products, nuts, seeds, drinking water that runs through copper pipes, and others) can lead to a host of serious health problems like anemia, nausea, vomiting, moodiness, depression, heart disease, joint/spinal degeneration, increased susceptibility for infections, higher risk for some cancers. On the other hand, insufficient copper intake can lead to insomnia, depression, low immunity, vascular degeneration, premature graying of hair, and other health issues. Another example is when the intake of essential amino acids is insufficient, protein synthesis (building cells and repairing tissue) comes to a halt. Immunity is also lowered as amino acids are needed to form antibodies to combat pathogens like bacteria, viruses, parasites and fungi. Many health problems can be caused by insufficient protein intake. On the other hand, excess protein consumption will put extra stress on the liver and kidneys. It may result in loss of calcium, which eventually leads to osteoporosis or kidney stones, and other problems. Taking supplements of nutrients the body is not lacking or is already high in can also lead to various health problems caused by excess intake of those nutrients. For example, if you are not deficient in magnesium and your diet provides adequate magnesium, and you start taking a magnesium supplement, you can then gradually develop health problems caused by magnesium excess. Although this largely depends on dose and duration, many magnesium supplements contain enough magnesium to cause problems in a week or less. Other nutrients in the body will most likely be affected by high magnesium intake. For example, magnesium can lower potassium, sodium, iron, selenium, copper, and other nutrients. Conversely, taking a magnesium supplement to correct a magnesium deficiency is necessary to eliminate the problems caused by the deficiency. Getting the right nutrition to maintain good health is a highly individualized matter. Most diets today follow the outdated one-size-fits-all approach which does not take into account the tremendous variability in nutritional needs based on lifestyle, state of health, and genetics. Nutritional needs differ among people due to many factors like genetic weaknesses or disease predisposition, age, diet and bio-availability of nutrients, state of health, type of work, climate, nutritional imbalances, the amount of daily physical and mental and emotional activities, and other factors. Even moderate exposure to mental or physical stress may dramatically increase the amount of certain nutrients needed - far exceeding the Recommended Daily Intake. Because every person has different nutritional needs, one should therefore not rely too strongly on the officially recommended daily intake of nutrients. As your needs for some nutrients may be much higher or lower than is commonly recommended. It takes time and effort to bring the body into a relatively balanced state. The first step should consist of establishing the nutritional status of the body in order to correct nutritional imbalances by treating nutritional deficiencies and excesses. Ideally, cellular analysis should be performed. Hair mineral analysis can be used as an alternative. Blood tests should not be relied on for establishing nutritional status of the body. The easiest way to find out the details of your nutritional intake is to acquire a computer program that automatically calculates the daily intake of nutrients based on the consumed foods (see Resources at the end of this article). That way you'll see which nutrients are low in your diet and which are supplied in excessive amounts. You can then check symptoms of excess of the nutrients that are high in your diet, and check the symptoms of deficiency of the nutrients that are low in your diet. That way you'll be able to see which nutritional imbalances are potentially responsible for your ailments. You can then adjust your diet by lowering the intake of nutrients that are in excess and increase intake of the lacking nutrients - if that is what is needed, as you may have a unique need for a higher or lower intake of certain nutrients, in which case their levels of intake should not result in any symptoms. If meeting nutritional requirements through diet alone is not possible, then using supplements of the lacking nutrients is necessary to prevent deficiencies. For instance, if the nutritional computer program shows that your intake of iron is too high, and your symptoms match one or more of the symptoms of iron excess, you can then see which foods that you are eating are highest in iron and can then lower their intake or replace them with foods that are low in iron. Even better is to stop eating iron rich foods for a week or two to see if the symptoms of iron excess disappear or decrease in intensity. A faster alternative is to lower iron intake and take an iron antagonist like calcium or zinc in order to lower iron quicker (assuming the intake of calcium and zinc is not excessive to begin with and one is not high in any of them). Another example is when the iron intake is within normal range but the intake or iron synergists is high, which in turn can raise iron. Things are not always this clear because many nutrients share the same symptoms of excess or deficiency, and one can have deficiencies or excesses of multiple nutrients. Furthermore, a low intake of a certain nutrient does not necessarily mean that one is deficient in that nutrient and vice versa. Nevertheless, the method described above is often effective and I have been using it with good results for years. With enough experience and knowledge it can be relatively easy to determine the cause of the problem and simply adjust nutritional intake. Although all this seems like a lot of work, and it is in the beginning, with practice it takes considerably less effort, and eventually the need for using software becomes much less frequent. It is always best to do such things under the supervision of a health care practitioner who is experienced in correcting nutritional imbalances. The ideal food sources of proteins, fats and carbohydrates are probably best determined through various physiological characteristics like blood type. This is why I recommend the Eat Right 4 Your Type diet developed by Dr. Peter J. D'Adamo. Following this diet, with some minor modifications, has given me the best results of all the diets I tried. Finally, let me emphasize that nutritional needs vary among people. Therefore one should not rely completely on the officially recommended daily intake of nutrients but treat it as a very rough guideline. For optimum brain and body function your needs for some nutrients may be much higher or lower than is commonly recommended. Which is why an ongoing sensible experimentation with nutrition is so helpful in identifying beneficial and harmful foods, food combinations and supplements. Although this eating habit is the hardest to get right and requires long term commitment, it is well worth pursuing. Once achieved, it will have a profound effect on the overall state of health, mental clarity, and well being. The importance of organic food. Until about the early 1900s all food was organic. It was the norm since the beginning of life on this planet. Modern agriculture industry practices have changed that. As a result, mineral-deficient soils are commonly used for plant cultivation. This created many serious problems. Humans and the animals we eat get food from plants, and plants get nutrients from the soil. 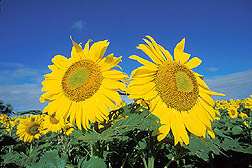 Mineral-deficient soil results in plants that are nutritionally inferior to plants that are grown on good quality soil. Thus the commercial, non-organic foods are usually of lower nutritional value - sometimes far lower than the natural or organic equivalent. Especially vitamin C, magnesium, iron, and phosphorus are found in greater quantities in organic foods. The same is true for important antioxidant phytochemicals like flavonoids and carotenoids. Taking supplements can be helpful but may not be sufficient. There may be hundreds or thousands of health promoting undiscovered substances found in natural foods. They may all be important and some may be essential to human health - but sufficient amounts may only be found in organic foods. Additionally, it seems that some nutrients can only be properly utilized when obtained from food. Perhaps more importantly, organic plant foods are much lower in nitrates and pesticide residues, and organic meat is free of hormones and antibiotics. Organic farming is also environmentally friendly and more sustainable. Enjoy simple meals. Meals that contain fewer foods are usually easier to digest. With simple meals it's also much easier to identify the beneficial foods and the foods that are causing problems. Simple meals are often easy and quick to prepare and use fewer resources like electricity and water - thus are more environmentally friendly and cost less. Rice with chicken meat and cooked green peas and a carrot with little olive oil and sea salt is a nutritious and satisfying simple meal. Consume some raw foods every day and limit fruit intake. Most of these raw foods should be vegetables, and only little fruit. Although fruits are widely recognized as healthy foods, in my experience they are not health promoting when eaten in the currently recommended quantities. Currently it's often recommended to eat several fruit servings a day which in my opinion is way too much. Even when eaten in moderation, over time fruits seem to irritate the digestive tract, and can also cause anxiety, restlessness, depression, and anger. These problems are possibly caused by the modern commercial fruits which are much higher in sugar and lower in fiber (compared to their original wild counterparts) and therefore can upset blood sugar balance. 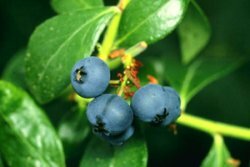 Considering the high sugar content of fruits, and the fact that in temperate climates fresh fruit has been available year round since only very recently, it seems to me that a more reasonable recommendation is to eat no more than one small fruit serving a day (a handful of berries or grapes, or an apple, or one orange, etc). Especially fruits that are high in fructose should only be eaten in small quantities, ideally as snack between meals. If you suspect that fruits may cause you problems, eat them occasionally to see if that helps, or eliminate them completely from your diet for a month or two. Then gradually start eating one fruit type at a time, say one fruit daily for a week, to identify which fruits cause you problems. During summer time, one naturally craves more raw foods so up to half of the diet (by volume) can occasionally consist of raw foods if one craves them. Most of it should be raw vegetables, although some more fruit can also be eaten. During winter, one naturally craves more cooked foods so raw food intake should be much lower. Vegetables should be consumed on a daily basis either with meals or as snacks. Raw vegetables are great for improving digestion and not much is needed to feel their effect. Several slices of a cucumber, or 1/2 a pepper, or some other vegetable can be added to a meal once or twice a day. Juicy fruits are best eaten as a snack between meals. Ensure adequate fiber intake. Dietary fiber is the mostly non-digestible carbohydrate found in plant foods. There are several types of fiber and they all have different properties that are essential for good digestion and health. Adequate fiber intake helps prevent cardiovascular diseases (heart and stroke), type 2 diabetes, cancer and gastrointestinal disorders. It has been estimated that adults need 35g of fiber a day. Most people consuming the typical western diet get less than half of that. The first signs of inadequate fiber intake are constipation and long transit times. Healthy transit should take no longer than one day. Raw fruits and vegetables are great for helping with transit times. Fiber is found in vegetables, fruits, legumes, grains, nuts and seeds. High fiber foods are: bulgur, oatmeal, pearled barley, whole grain breads, legumes and beans (especially pinto and kidney beans), apples, and pears. Reduce levels of phytic acid and other anti-nutrients. Grains, legums, nuts and seeds are high in phytic acid and anti-nutrients like lectins and digestive enzyme inhibitors. Phytic acid combines with iron, calcium, magnesium, copper and zinc in the intestinal tract and thus interferes with the absorption of these minerals. Long term, excessive intake of foods high in phytic acid can lead to severe health problems caused by mineral deficiencies. Enzyme inhibitors can interfere with digestion. Soaking, fermenting, sprouting and cooking will largely neutralize phytic acid and other anti-nutrients. Fermenting also helps break down gluten, a hard to digest protein. The Weston A. Price Foundation has a very useful article on how to minimize phytic acid in food. And here is a simple method of soaking brown rice. Blueberries are exceptionally high in health promoting antioxidants. They also have antibacterial properties and are good for varicose veins and urinary infections. Cultured and fermented foods. Regularly consume unpasteurized fermented/cultured foods that work well for you and avoid those that do not. These foods include sauerkraut, miso, pickles, kefir, yogurt, tofu, and others. These are pre-digested foods that are high in probiotics (friendly bacteria) and enzymes which provide numerous health benefits. They help prevent intestinal infections from viruses and bacteria; they help keep the intestinal lining healthy; can prevent diarrhea and can lower cholesterol levels. The Lactobacilli and Bifido bacteria, have been found to display anti-cancer activity. Ancestral diet. Consider the diet (and lifestyle) your ancestors had for thousands of years. You will most likely do very well on such a diet (with modifications based on modern nutrition) due to the long period of adaptation. For example, the traditional Chinese diet is high in carbohydrates and low in fat and protein; Europeans, on the other hand, have been eating less carbs and more protein and fat; North American Indians did not consume grains, etc. I suspect that in the future, taking into account ancestral diet may prove to be among the most important aspects of personal diet. Properly wash fruits and vegetables before consumption. This lowers the exposure to agricultural chemicals used to cultivate plants, and reduces the amount of any harmful pathogens. A frequently recommended way of washing fruits and vegetables is to first submerge them in water for 5-10 minutes - in order to loosen/soften any dried particles - then to gently rub the food item under clean running water. A more thorough procedure includes, after the initial washing, to soak the food in water mixed with some kind of suitable cleaning liquid for 15-30 minutes. There are many different recommendations as for what liquid to use, but none seem to be completely effective at eliminating all harmful pathogens. I usually use 50ml of vinegar for each liter of water and soak it for up to 30 minutes. Peel the skin if washing is not sufficient, especially if the surface is covered with a thin layer of wax. Washing salad leafs is especially important as you can't peel its skin. Cooking fruits and vegetables is the easiest way to kill all harmful pathogens and is especially recommended for salads which are not easy to clean. Chew food well and eat at a comfortable pace in peace. This is a very simple healthy eating habit and an effective and safe way of improving digestion. Digestion starts in the mouth as saliva gets mixed with the food during chewing. Saliva has many important properties. It contains an enzyme which initiates the breakdown of carbohydrates; it has anti-bacterial properties; it helps nourish and repair the gut; it helps keep the mouth and teeth clean. By simply chewing food longer, you can significantly enhance digestion and absorb more nutrients. Eating in peace at comfortable pace is relaxing and enhances the enjoyment of the meal. Eat juicy fruit by itself. Juicy or watery fruits are usually best eaten alone as a snack between meals - unless you can find a combination of foods that works well. For best digestion only eat one type of fruit at a time. Prolong the nightly fast. Unless very hungry, do not eat for 2-3 hours before bedtime. That way the nightly fast can be prolonged considerably. This gives the body more/adequate time and energy to perform the countless nightly tasks that are so essential to good health - rather than digesting the just eaten meal. This simple healthy eating habit can reduce the nightly sleep by one hour or more, and make you feel more fresh and better rested in the morning. Drink enough water. This seems obvious, yet it is easy to forget about it if one gets too absorbed in some activity. Not getting enough water can lead to headache, dizziness, kidney ache, and other health issues. Under normal circumstances in temperate climate most people need about 2 - 4 liters of water a day. Organic, raw or minimally processed cultured milk and milk products are highly nutritious, easy to digest foods, rich in essential proteins, friendly bacteria, enzymes and Calcium. Eggs are an exceptionally good source of protein. Egg yolks are high in vitamin A, biotin, choline, sulfur, lecithin, selenium and vitamin B12. eggs, soft-boiled or runny egg yolk is best as it's easier to digest. Egg yolks are very nutritious. A whole egg and several egg whites can be eaten daily. poultry, especially chicken and turkey. red meat, especially organic grass fed beef. raw fermented milk products: sour milk, kefir, cheeses, etc (hard to find but sour milk and kefir can be made at home from regular (pasteurized) milk). some wild game (except predators). Meats are very nutritious foods and at least a 100g should be eaten daily. Most fish, unfortunately, are no longer healthy foods due to contamination with mercury and chemicals. Most non-organic meats come from animals that have been fed unnatural diets based on corn/grains/beans. This changes the fat content of the meat making them higher in the omega 6 polyunsaturated fatty acids. Further, such animals are frequently given antibiotics and hormones - thus should be avoided. On the other hand, organic meats should be eaten with the fat and skin and other edible parts that are naturally part of the meat. Organic eggs, meats and milk contain the highest quality protein. 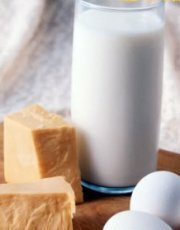 If you can't tolerate regular milk and milk products you may have no problems with raw or fermented equivalents like sour milk, kefir or cheeses. Rice is a gluten free grain. Brown rice is far richer in nutrients than white. vegetables should be consumed every day preferably with every meal. whole or minimally processed grains: brown rice, parboiled rice, rolled oats oatmeal, bulgur, couscous, amaranth, quinoa, pearl barley, whole grain bread, and occasionally white rice, spaghetti, white bread, and buckwheat (high in oxalic acid but also high in nickel, cobalt, vanadium and rutin). Whole oats, whole barley, and whole wheat can be avoided or only eaten occasionally in small amounts as they are very high in silica. beans and lentils, once or twice a week. 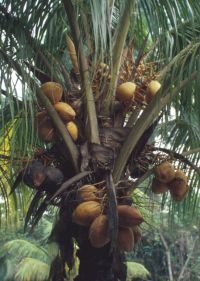 Coconut and coconut oil has antiviral, antibacterial and antiprotozoal properties. Coconut oil is a good oil to cook with. cold pressed sunflower and sesame oils are very good if consumed in moderation, 1-2 table spoons a day in total (as they are high in omega 6 PUFAs). cold pressed (extra virgin) olive oil. raw butter, especially from grass fed animals. fresh, soaked, or sprouted nuts and seeds (no more than a few small handfuls a week, as many nuts and seeds varieties are high in omega 6, nickel, copper, phytic acid and oxalic acid). Although healthy eating habits can make enormous improvements to one's health, it's only one essential part of healthy living. The other parts are proper and adequate physical activity, mental and spiritual well being, and adequate sleep and rest. All need to be addressed in order to achieve better health. Sprouted or soaked sunflower seeds are very nutritious, high in minerals, and are one of the best sources of vitamin E.
Good health is based on balanced approach to life. Yet, life is a constant change. The demands of life change and so do we. Thus good health is a moving target, and the balance needs to be continually maintained by making adjustments. It's a life long process. Many chronic health problems are to a large extent caused by poor eating habits and nutritional imbalances. In such case the natural way to improve one's health is through self education about nutrition and a healthy diet, correction of nutritional imbalances, ongoing experimentation with diet and close observation of the cause and effect the dietary changes have on the mind and body. If you continually notice experiencing ache or pain (or simply not feeling quite right) after eating certain foods, then that is a clear sign that these foods should be avoided - at least for the time being until nutritional imbalances have been corrected (which may be the root cause of the problem). Similarly, a craving for certain natural food can indicate that the body is lacking certain nutrient(s) found in that food. With practice, through increased awareness of the effects the individual foods have on the mind and body, it will become easier to get a sense for which foods are beneficial and which are not, and when to eat what and how much. As one gets better at listening to the body, it becomes natural to self diagnose a lot of minor problems (which can become major if not paid attention to) and remedy them by simply adjusting the diet or other aspects of life. Although healthy eating along with nutritional balancing is essential for good health, it's important to remember that nutritional needs differ among people. No single diet will work for everybody. What works for one person may not work for another - thus it's important to learn about and experiment with nutrition to find out what works for your own mind and body. Cellular Nutrition - the most useful site about nutritional balancing and the interaction between nutrients and the effect this has on health and disease. A real gold mine. westonaprice.org - by building upon the work of Weston A. Price, this site provides a rich source of information about health and nutrition. Their recommendations are based on time proven traditional approach to diet and health along with scientific studies, rather than hype or political-correctness. mercola.com - a lot of useful, practical and down to earth health information. beyondveg.com - a superb site dealing with: " Reports from veterans of vegetarian and raw-food diets, veganism, fruitarianism, and instinctive eating, plus new science from paleolithic diet research and clinical nutrition." Fascinating reading for anybody who has been into health and diets for some time. Sprouting basics - an excellent introduction to sprouting nuts, grains, seeds and beans by Tom Billings. Dom's kefir - a comprehensive guide to kefir making at home. Find out the nutritional content of many foods. Some of these databases contain data on nutrients which others don't. If available, it's best to use a database from your own country as nutritional content of the same food can vary a great deal - mainly due to the soil and the type of food farm animals eat. USDA National Nutrient Database - USA nutritional database, data files are freely available along with free software. NUTTAB - Australia and New Zealand database from Food Standards. Fineli - Finnish database from National Institute for Health and Welfare. Foodcomp - Danish database from National Food Institute. Anses - French database from French Agency for Food, Environmental and Occupational Health Safety. Nutrition data - useful online tools based on the USDA National Nutrient Database. Over time, I've read well over a hundred of carefully selected books on the topics of health and nutrition, and here are the ones I found to be especially useful. The following books are easy and quick to read. They contain fundamental information on how to improve personal health through healthy eating. If you can only afford one book, I would recommend getting "Eat Right for your type" by Peter J. D'Adamo. Nourishing Traditions: The Cookbook that Challenges Politically Correct Nutrition and the Diet Dictocrats by Sally Fallon, Mary G. Enig, Ph.D. The Doctor's Complete Guide to Vitamins and Minerals by Mary Dan Eades, M.D. Natural Health, Natural Medicine: The Complete Guide to Wellness and Self-Care for Optimum Health by Andrew Weil, M.D. Most of the following books are more in-depth and some deviate from the norm. Although these books vary in their concepts, and I may not agree with everything (or most) of what some of them say, they all contain rare nutritional gems. Biochemical Individuality by Roger Williams, Ph.D. Spiritual Nutrition: Six Foundations for Spiritual Life and the Awakening of Kundalini by Gabriel Cousens, M.D. Chemistry of Man by Bernard Jensen, Ph.D.
Nutritional Balancing and Hair Mineral Analysis by Lawrence D. Wilson, M.D. Know Your Fats : The Complete Primer for Understanding the Nutrition of Fats, Oils and Cholesterol by Mary G. Enig, Ph.D. Copyright © 2005 Dawid Michalczyk. All Rights Reserved. This content may be copied in full, with copyright, contact, creation, information and links intact, without specific permission, when used only in a not-for-profit format.